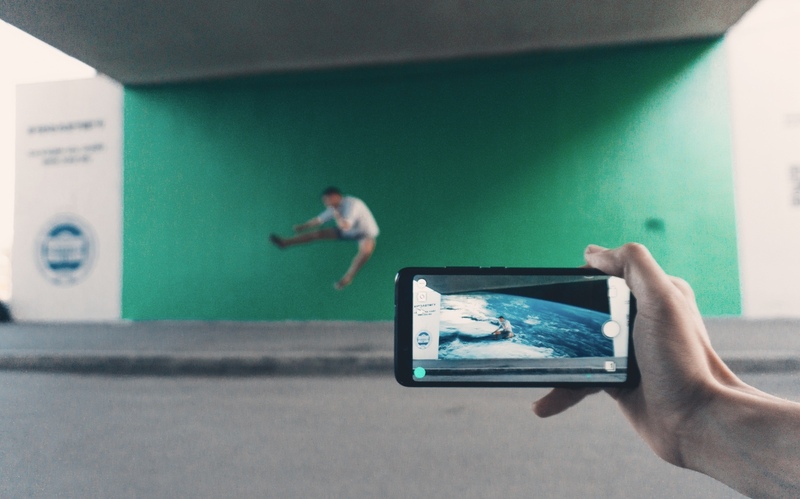 AHMEDABAD, India, September 24, 2018 – Chromavid, one of the world’s easiest app to create Chroma key green screen photos and videos announced an exit from the Bootstrap phase. Chromavid has recently completed its primary features set and announced stability of the current version. It also announced availability on Android platform after a successful run on iOS. Chromavid was in news after a successful display at re:publica 2018, held in Berlin this year where it was its mobile app partner. It was recently featured and used in Astana, Kazakhstan by city administration and Irkutsk State University, Irkutsk, Russia to provide green screen experience to local residents and tourists. Various users ranging from professional, as well as amateur photographers, are using Chromavid to take creative and brilliant Chroma key Photos and videos. Many schools recently have used chromavid to educate students about Green screen Technology and Chroma key effects. Chromavid's recently crossed more than 85,000 users worldwide. Chromavid has successfully proven itself to be the best real-time chromakey app in world. The paid version Chromavid Plus has also started generating much interest, and free Chromavid users have quickly upgraded to it. The Chromavid Plus includes more features such as Reverse Chromakey, Merging existing photos and videos, No Advertisements, Unlimited Recording time and more. Chromavid Plus is currently available on iOS Apple Appstore. Chromavid is a Multicore Technologies product. Multicore Technologies is a Design and Development company specializing in Mobile and Web Development Apps. Their in-depth expertise has helped us successfully deliver technological solutions for wide range of clients such as Charities looking to raise donations via various financial tools, IoT enabled apps for next-gen companies and creating an awesome social experience for various infotainment companies. We help our clients not just build a product but also deliver the experience.